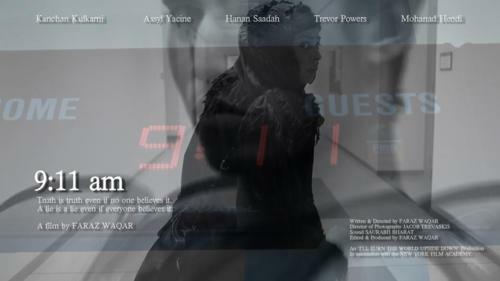 New York Film Academy Abu Dhabi grad Faraz Waqar’s graduation thesis film 9:11 AM was selected for its world premiere at the Festival de Cannes 2012 Short Films Corner. The Short Films Corner hands you an annual tailor-made program of industry meets, workshops and conferences that deal with strategic issues. Faraz will benefit from all the advantages of being an accredited attendee of the festival. He can access the Marché du Film exhibitors or those in the Village International. Faraz will also be able to network with all the biggest industry players, whether they are institutions, financiers and the most important international reps in the film business. Talk about opening some doors. What more can a film graduate ask for? Tell us where your passion started? Studying film and working in film was always my dream. Reviving the film industry in my own country through films has always been my goal. However, the pressure for financial success and lack of support from my family forced me to study Business Management instead of filmmaking. I spent 12 years working in the corporate world as a banker in the Middle East but never let my dream of becoming a filmmaker die. After achieving a fair degree of success in my business career and achieving financial independence, I was in a position to finally pursue my dream and passion. The Middle East has played a very important role in the of human civilization. In recent years, however, this region has been in the media for all the wrong reasons. Cinema is the most powerful tool to make or break the image of a person, culture or country. Becoming a film director puts you in a position of immense power. You can influence the hearts and minds of people of the world. This is the best way to contribute something which will benefit your own culture. You also enjoy the immense opportunity to be creative. You’re having fun too. 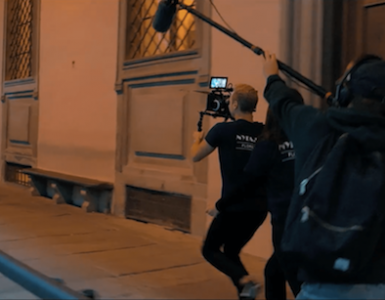 How was your NYFA experience? I joined the 1-year Filmmaking program in Abu Dhabi last February. The institution brought to my doorstep the facilities and instruction that has trained so many prominent filmmakers in the United States. I graduated from NYFA two months ago. It was perhaps the most memorable year of my life. I truly lived my dream. The best part about studying at NYFA was learning from professors who had a wealth of experiences working as directors and cinematographers on world renowned film projects both in Hollywood and in the Middle East. The student body in Abu Dhabi is extremely diverse. We have classmates from Australia, India, Africa, Iran, Saudi Arabia, South Africa, Eastern Europe, Pakistan, Lebenon, Switzerland, Iraq, UAE, Nigeria and Denmark. It was superb because you got to make some wonderful friends from different cultures and benefit from their vastly different perspectives. I formed some very close friendships and enjoyed working with this diverse international group. Film school always ends up attracting the most creative and passionate people. The network I’ve established will benefit me in any project I pursue. NYFA’s program is intensive and comprehensive. Film projects start from idea conception to script finalization, and ranges from casting, editing, production and post-production. I wrote, directed and edited 8 complete films during my one year at the school. In addition I was also involved in the production of 39 films in various capacities as part of the crew (short films, documentaries and music videos) for other directors. I got full freedom to experiment, shoot and work on different ideas and scripts for my projects. We had access to some of the best film cameras in the world. We shot from digital to 16mm, 35mm and even on the Red Epic. It was amazing. What is your perspective on screening at film festivals? Advice on the process? Recognition at quality film festivals do add a lot of credibility to a new filmmaker’s profile. It gives one confidence as a professional to people. 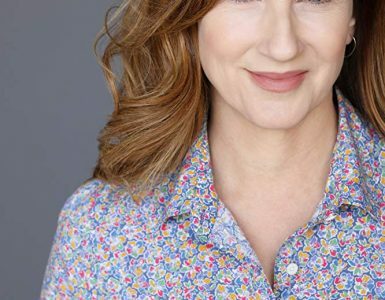 Recognition at a major festival immediately bring you into the spotlight, especially in a market where filmmaking is still in a nascent stage and the people in the industry all know each other. It helps bring your name into notice amongst all in the film making circle. Never make your film with the intention of getting into any particular festival. That is not the way I would do it. Be selective about the festivals you apply to once your film is complete. I believe that whatever comes naturally from your heart will represent you and what you are most passionate about. It will turn out to be your best work. It is also very important to present their films professionally. Films submitted should be properly branded. DVDs must be labelled, craft themed posters meticulously, and make sure to select originally composed or royalty-free music. This improves the chances of selection too. Every small detail helps. What kind of advice would you give to the aspiring filmmaker and NYFA student dreaming to succeed? Be yourself. Let your work be original. Let it be your best creative effort on a subject you are passionate about. It will naturally bring out the best in you. Believe in your work but never shy away from feedback and criticism from a trusted source. The audience is your consumer, and you must communicate a certain point of view. Being too abstract for the sake of being artistic may cause the message of your film to be lost. Be intelligent. Do not focus on controversial topics for the sake of controversy. Base your film on a controversial topic if you truly believe in it. Your script is everything. Make sure it’s perfect. Make sure it’s engaging and interesting. Actors matter the most. Their performance can make or break your film. Select them wisely, prepare them well and value their time and effort. You cannot make a film alone. It’s a team effort. Your crew is contributing in a major way to give shape to your vision. Value them and treat them with respect. Build your team with the next project in mind. Don’t use and discard others. Selfishness and a bad attitude will take you nowhere in a very team-dependent industry. To learn more about NYFA in Abu Dhabi please click here.